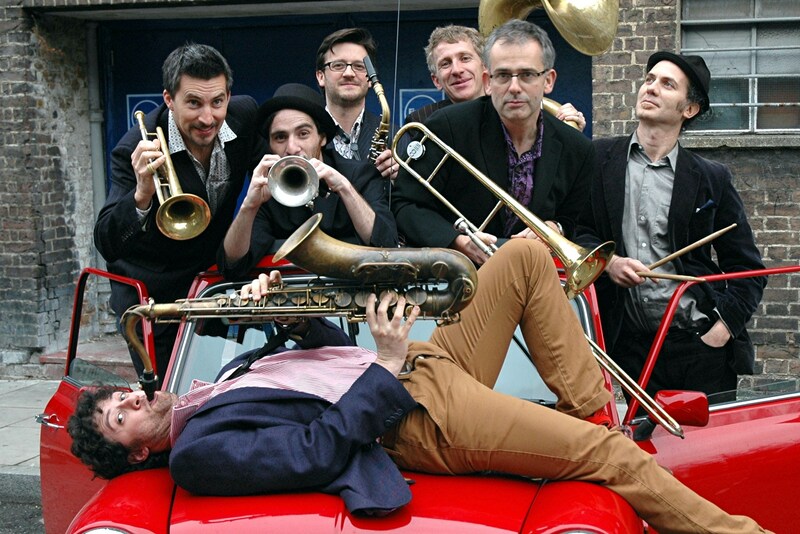 The Brass Volcanoes are a funky, energetic brass / jazz band from London formed and led by Graham Hughes. 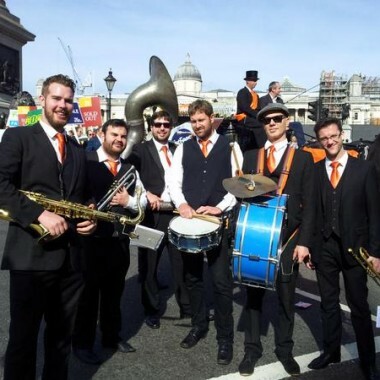 Brass and saxophones backed by drums and a sousaphone play a repertoire (including many original compositions) conjuring up the sounds from New Orleans, Latin America, Caribbean, Eastern European, funk, blues, jazz and more. 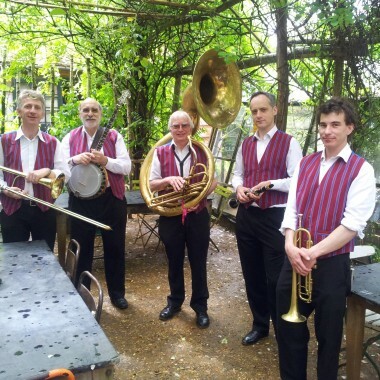 Since forming in 2007 the band has built up quite a following. They have appeared at festivals across the country – from Cornwall to Durham and many places in between. Recently they appeared in Stratford playing for the Olympics and Paralympics. 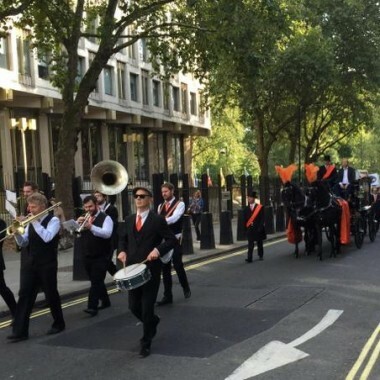 Individually the musicians have played internationally with a multitude of bands. 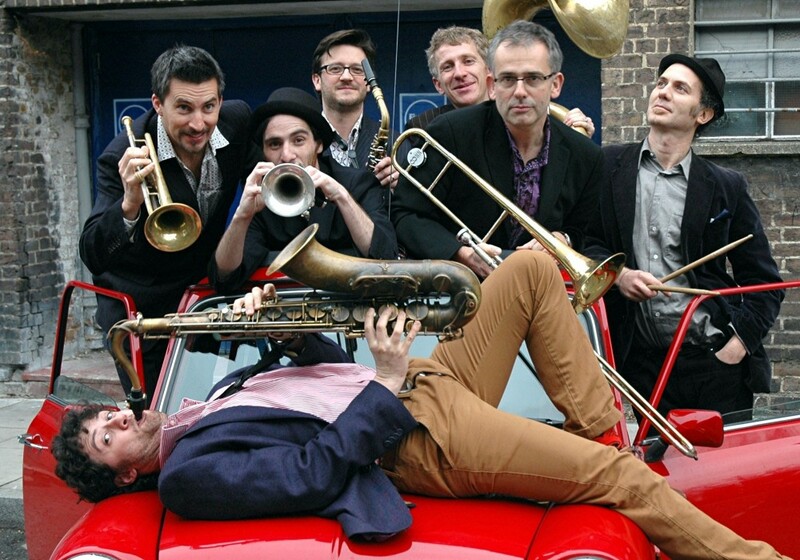 The Brass Volcanoes brings them together in a fabulous mixing pot of fun, spontaneity and funkyness!